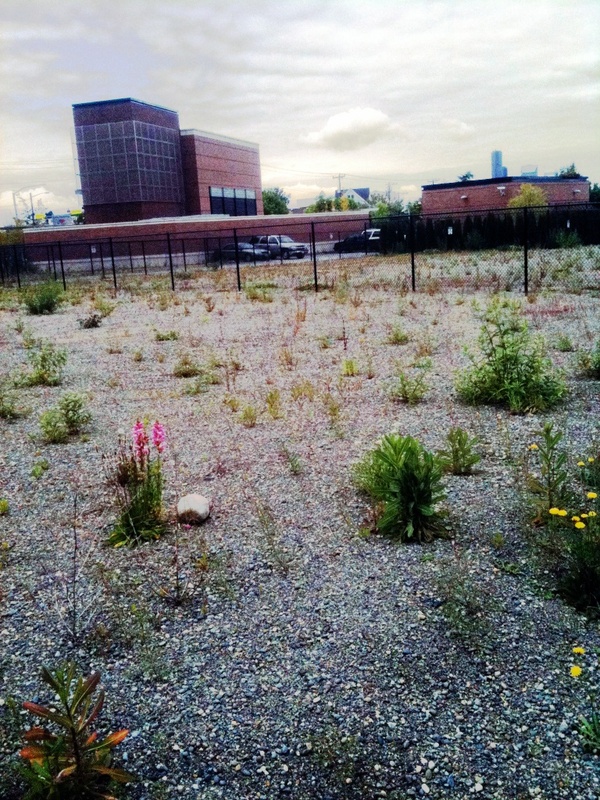 The barren moonscape that surrounds the Beacon Hill Station is the poster child for the institutional and political failures endemic to Seattle’s approach to Transit Oriented Development. A picture of the stubby station box poking out of the ground is the front picture on my land use blog. I’ve gotten endless use from images of the lonely station as a sad commentary on the state of TOD. But maybe that’s changing. Tomorrow night at 6:30 the Southeast Design Review Board will review a proposal for a four-story, 30 unit commercial and residential building including parking on one piece of the vacant lot surrounding the Beacon Hill station. It’s a pretty modest proposal. But I have this feeling some people will appear to oppose it. I’m really hoping that isn’t the case, but my sense of land use politics tells me that, like most design review meetings, neighbors will emerge with all kinds of reasons why this project is wrong for Beacon Hill. More after the jump. I’m going to withhold thoughts about the neighborhood until after the meeting, but let’s face it, 30 units on the corner of the station lot isn’t much density. And right now the zoning around the station area is a jumble of 40-foot Neighborhood Commercial and single family that isn’t really suitable for very much new development. Big changes are needed like the ones I described previously to get Beacon Hill where it needs to be. Beacon Hill’s neighborhood plan, calls for “a strong neighborhood commercial district and opportunities for mixed use residential development.” That is going to be hard to do when single-family neighbors have vigorously opposed significant upzones around the station. The most glaring missed opportunity is the Red Apple property across the street, an ideal TOD site. Whatever the neighborhood does, the project will go forward. One of the unfortunate things about design review is that it can often turn into group therapy for neighbors who oppose projects. The board has to explain to angry neighbors that they can’t change the underlying zoning. Subsequent meetings are about excruciatingly specific details of the project (windows, roofline, curb cuts) and tweaking them for the neighborhood. By the end of the design review process the room is mostly empty except for a few neighbors still opposing the entire project on principle and the developer explaining the numerous and minor adjustments made to ease various neighborly worries. My favorite example is the frosted glass a developer had to promise to install on balconies to shield neighbors from the prying eyes of residents of the new building. Design review was intended to allow slight departures from code requirements in exchange for greater input from the public about the look and feel of the building. In the end it really doesn’t do much more than push project envelopes around. As I pointed out in my review of design review the process probably doesn’t hurt anything, but it doesn’t yield more density or more development capacity. And it tends to frustrate neighbors more than anything else, giving them a sense that they can’t beat City Hall. We should change design review as we consider a citywide approach to TOD. Nevertheless, once the frontlash at design review fades, the project usually doesn’t have all the negative impacts people worried about. People end up living with the project and even liking it. In this case 30 units is just a drop in the bucket. But maybe once the project is done it will be a wedge for more development, and maybe neighbors will realize a “strong neighborhood commercial district” their plan calls for requires more people moving to dense development on Beacon Hill. The meeting of the Design Review Board is at 6:30 p.m on Tuesday, October 25th, in the Community Room of the Well Spring Family Services, 1900 Rainier Avenue South. Incidentally, the Red Apple is being upzoned to NC2P-65. As is the south lot at El Centro de la Raza, which is currently SF5000. This DPD page contains some recent info on the North Beacon Hill rezone. You might also note that the comments on the Beacon Hill Blog post a few weeks ago about this were mostly in favor of more density. I’t’s good to see someone with brains and taste building up there. The Expo Hair building is one of the worst examples of architecture in Seattle, period, full-stop. Seriously, how the hell did that happen? Was it not subject to design review, or what? It’s really, really bad. And this is one of the reasons some people on the hill might be afraid of what they will get when development happens. Having lived around that building for years now, I can understand their nervousness. Wow. That Expo Hair building is impressively awful. Just a guess, but it looks like it was probably designed to not need to ask for departures from the code and so to avoid the nicer-materials-in-exchange-for-departures horse trading that goes on in design review. Yes, I’m aware of the process now underway to do some upzones on Beacon Hill. And I’m also willing to suspend my skepticism — but only on a temporary basis. Where exactly is this transition zone supposed to be, when the project I am talking about is 40 feet and across the street is SF 5000. Most of the blocks that are going up to 65 are similarly surrounded by Single Family. The increases here are not that signficant and they aren’t particularly broad. This is really threading the needle, especially because it’s going to be hard to “transition” from 40 feet to SF or from 65 to 40 to SF in the space of a block. No, 65 probably is not enough given that narrow foot print. But again, I am hopeful that these changes will encourage more. I think a mile around the station with signifcant upzones would allow the transitions that are discussed and would create more opportunity for growth. Lastly, height is always a bad way to do these things. Height does not necessarily equal density. One more floor may not make a big difference. How about a rezone that turns a significant number of those SF 5000 lots around the station to L3. Lots of L3 a mile around could turn the sation area into something more like parts of Capitol Hill like 12th, 15th, and even 19th east of Broadway. The problem with a rezone from SF5000 to L3 is that it takes a *lot* of redevelopment to add any significant number of people. A 65′ apartment on a moderate-sized NC lot can easily add 100 people to a neighborhood, usually replacing vacant retail space or parking. By contrast, to get 100 new people into an L3-zone, assuming (generously) a typical L3 redevelopment replaces a 3-person house with 5 2-person townhouses, you need to replace 100/7=14-15 houses. The sense of OMG-things-are-changing-for-the-worse is much greater when 14 houses are torn down, even over a 1-mile diameter circle, than when one or two former gas stations become apartment buildings. Furthermore, some of those townhouses will now be a 10 minute walk from the station, which isn’t nearly as handy as having it across the street. I’m not saying rezones to L3 don’t have a place. Some density is better than none, and there are definitely people who will live in townhouses and wouldn’t live in apartments. But it takes a lot of low-rise redevelopment to create the same density as a few apartment buildings. I think zoning the area a mile away from the station L3 would be a great idea. Developers aren’t going to go and knock down whole blocks of single-family homes to make way for town houses; it may be decades or centuries until all the single-family homes in that area are gone. But it would give room for a whole lot more average density around Beacon Hill, so when vacant lots open up they’re more likely to be built on, and the more beaten-up houses are more likely to be gradually replaced. alexjonlin – I don’t disagree that L3 for a mile around the station would be better. Heck, I’d rezone the whole city for L3 (or more) if it were up to me. I’m just saying that 65′ brings more people. 1. The economy. By 2006, and particularly by summer 2007 and later when it was prime time to start a project in anticipation of Link, nothing was happening anywhere in Seattle. 2. It’s the poorer end of town. Construction costs just as much (land is cheaper) but rents are lower. Transit is just one component of disirability so rents aren’t going to completely close the gap. Right now housing is booming within walking distance of Downtown and in a few of the most desirable urban villages. 3. Sound Transit is holding off on selling or land-leasing land. Waiting for land values to grow is probably smart if the point is to recover revenues. But obviously not for TODs. The area directly around Beacon Hill station shakes this pattern. For that matter, most of the area near the crest of the hill is far more well-off than the valley a short distance below. And you are somewhat wrong about rents being lower, at least on new construction. Every new apartment complex is built to the high end of the market, as the features that make an apartment “high end” are relatively cheap compared to the rest of the construction costs. Developers are willing to accept a slow rate of rentals in order to lock people in at high-end lease rates. Overall in existing construction, rents are lower, but not as low as say, Delridge. To rephrase my point, the South End has limited demand at the high end of the rental market, vs. where more of the residential construction is currently happening. You can build 200 units on Lower Queen Anne and expect to fill up quickly at high rents, but in the Rainier Valley or Tukwila, you’d be inventing a new market. This will change over time, as the first new buildings (at Othello for example) raise each station area’s game with new services, along with the rail itself. But being first is still a risk. It seems to me that LINK is more valuable if every station becomes a Destination rather than just a feeder to downtown…hence, the more it can spread work and living, the more it fulfills its promise. Right now there are only three destinations: Sea-Tac, Downtown and the Stadiums. With TOD, we could spread work centers up and down the corridor. Government — city and state — should consider moving offices to locations outside of Downtown. So long as the transit center offers both access to LINK, buses and adequate parking it ideally makes a LINK a win for all. Even for those who need to drive (say from remote or rural suburbs) they can then choose to park at any LINK station, for free, and then use LINK as a “parking lot shuttle”. While it sounds demeaning, we have to admit, that as a parking lot shuttle, to the soccer games for example, LINK has found some of its greatest utility and revenue. A Link station does not make up for the central location and interconnectedness of a downtown location. LINK stations are inherently “interconnected”. I should be able to work, live, or play at every station. I could open an office at Rainier and have clients at the University of Washington. We could meet at Northgate to discuss a project…or rent a conference room at SeaTac airport and meet overseas partners right there. This is the Linear City. It’s way better to centralize density-friendly uses like offices, as they are now. Public agencies should have access to 100 bus lines plus rail, not just rail and a couple bus lines. That said, there’s certainly potential for neighborhood-focused offices, clinics, service organizations, etc., in places like Othello and Mt. Baker. But, if you have access to one LINK station, you have access to all. Once on LINK, you have guaranteed, frequent and regular service (unlike buses). So, LINK becomes its own urban environment…a linear one…that is infinitely extensible. A “centralized downtown” becomes obsolete in these many to many relationships. Centralized jobs allow nearly anyone a one-leg journey with only a walk at each end. You’re talking about a two-leg journey, often transfering in the same downtown. Partly true. But it’s about growing the pie, not redistributing existing worksites. If an organization moves from a car-accessible suburban location to a Link station, that’s a net positive. But if an organization moves from downtown to a Link station, that does not make it more accessible and may actually make it less accessible. It’s a net positive only after other organizations fill the space downtown. The DC area is a great example of how good transit and station-area planning can create walkable urban villages out of nothing. It does not empty the downtown. Instead it increases the percentage of the population that travels without a car. Rainier Valley already has a huge government presence in the form of social services. Some think it has too much of this, more than its share. So moving government offices to RV is not a good idea. But encouraging other companies to locate in RV is a good idea. That’s the long-term plan for Mt Baker, to be a commercial urban village (as opposed to the smaller residential urban villages). What LINK does is make everything along its route “downtown” to the extent that it offers quick, reliable and frequent service. Imagine working at Othello in a new office building. Would it be so unthinkable to jump on LINK for lunch at Beacon Hill? Why not? So in effect, LINK builds its own city — a Linear City instead of a Centralized City. It is apparent from this article that the author is not familiar with Beacon Hill. We feel honored that you are reserving judgement on our neighborhood based on who speaks up at the meeting tomorrow. But before you pass judgement, let’s get your facts straight. Your tone was condescending and your article misinformed. I haven’t seen anything official about north beacon rezone. The dpd page for Beacon Hill seems to show yet another recommendation. My understanding was that city council needs to approve the recommendation, and that that could not happen until Q2 of 2012. I’d also heard anecdotally that the set of non Beacon Hill growth opponents were preparing another upzone appeal, presumably to get another year or two of delay. No idea on what grounds. I’d be thrilled to see information that I’m wrong on both counts. WRT to the tone of the post, the vacant lot photo above seems to speak pretty clearly. However supportive of growth some in the neighborhood may be, the boilerplate SEPA appeal was a successful delaying tactic. The thing about the SEPA appeal is that it only took one person to do it. So I don’t think you can use that appeal as an example of Beacon Hill’s attitudes toward development. One person on the Hill filed that appeal. Maybe others agreed with her. Probably there were others — I don’t doubt that. I’m pretty certain she wasn’t alone. :) But all we know is that one person filed an appeal. It says nothing about the broader set of opinions in the neighborhood. It wasn’t something voted on at a neighborhood meeting, even. Actually if my memory serves me correctly Roger is a former Beacon Hill resident. Roger is citing the current zoning, which the development discussed in the post is subject too, so no the zoning has not changed. Well, if Roger knew about the update then why cite the 1999 document without any hint that the neighborhood plan had been updated and the rezone nearly finalized? It makes no sense to harp on the missed opportunity of rezoning the Red Apple lot when, as indicated in multiple documents that he failed to cite, it is all but rezoned already. In addition, Roger indicates that the solution to our legacy zoning around the station is the formation of a “TOD Super Agency”. Huh? How can you throw out a solution like that without even mentioning that the whole area has already been slated to rezone to NC-65? If not misinformed then either intentionally misleading, or just lazy journalism. Dylan is right. The article was written as if the recent neighborhood plan update process never happened. It is misleading in that sense. Some of the rezoning he is asking for is already happening. It’s not finalized yet, but it is darned close. Roger is a former Beacon Hill resident, but I don’t think he is representing the current state of things on the Hill. Right. Draft Ordinance was issued last month. Just pushing paper at this point to adopt. The delay was smart. In this economy we did not lose any opportunities while gaining extra attention from the City. I would be surprised if there were any other appeals. Everyone is looking to move forward. Case in point, there was very little push back to El Centro converting their southern lot to “temporary” parking until they redevelop. “we did not lose any opportunities” – I’ll challenge this part. I don’t think we lost much, but this is proposed as a 40′ and not a 65′ building. That’s maybe 15 or 20 residents who aren’t going to be living on the hill, frequenting our businesses and eating at our restaurants. It might not have happened anyway (it’s a small lot for 65 feet), but it is a lost opportunity. I wish it was just paper pushing. Until the ink is dry, it’s more accurate to report current zoning. If there’s any possible way to stall any stage of this process, someone is going to find it. What extra attention did we get from the City–positive or negative? We’ve gotten extra attention from some media outlets (The Stranger & STB) but as far as politicians go…it’s not like Beacon Hill has ever been under the radar–especially concerning development/zoning around the station. There was a ton of argument about the El Centro parking lot–the NBHC meeting about having parking near stations was bitter and contentious. Even after El Centro was given a temporary permit, there was push back about fencing, about lighting, about security… No one’s happy about that lot–including El Centro. What we lost by the delay caused by a group of very well informed (and probably well intentioned)activists working together to appeal all three of the upzones around stations in neighborhoods due for Neighborhood Plan Updates (Beacon Hill, N. Rainier & Othello) was the opportunity to resolve the zoning & have a real conversation about how to develop our neighborhoods. Many of us have also lost hours to meetings about what should/may be just “paper pushing”: upzoning around the station. El Centro lost valuable time to begin hosting neighborhood meetings about building out the “Beloved Community”. The also lost some valuable support in the neighborhood because people felt/feel so strongly about the parking lot. As soon as they’re able to build anything else, they will. Other property owners may have lost/will be losing property value & time. But hey–we gained a temporary parking lot. Tell your friends to grab a cup of coffee or a beer at the Station before they head to the Sounders game. At least their parking dollars will support a good cause. The owners of the biggest parcels there next to the station have shown zero interest in doing anything with the land for the time being. Maybe Roger’s thoughtful advice can force them to get with it and line up financing and jump into planning. Or maybe they’re in no hurry to do anything and are just waiting for the market to rebound enough for them to rake in more profit from the sale of the land. Either way, you can’t force them to do anything. Says more about their lack of vision than it does about any city planning process or zoing rule. It would (will) be fantastic when we have final answers about the zoning around the station. For now, I’m surprised and optimistic that any development is anywhere near the design review stage. Why sell or develop at 40ft when you have real potential for more square footage? The higher you can build, the more value the property has. There are lots of potential reasons the property owners might not be developing the property. The market could be one of them. Another great reason would be that there’s no way to know when the zoning changes will take effect or what the new zoning will be. Until the papers are pushed & the ink is dry, it makes sense to wait. I’m looking forward to hearing more about the proposal. I think the biggest impediment to developing the other parcels on that block is family in-fighting, and the fact that none of them have been in the neighborhood since 1970. They’re probably mad that they can’t build a gas station there. I know there’s a tall-ish apartment building somewhere in northern Beacon Hill. Why can’t 11th and 12th be lined with high-rise condos? The view potential is incredible! The apartment building you may be thinking of is part of Seattle Housing Authority’s public housing. I imagine there are some seriously great views from that one. Yeah it’s seriously unfortunate that we don’t really have a stock of tenement housing in the U-district or Beacon Hill/Rainier Valley.